Whether you’re a basketball fan or not, it’s hard not to enjoy NBA All-Star weekend. From parties and exclusive events to the games and skills competitions, there’s plenty to do both on and off the court. So if you want to get the chance to see an NBA legend without paying an arm and a leg to be at one of the all-star games, we recommend checking out some of these notable events taking place in the city. To kick off the start of this epic weekend and rub shoulders with some of Toronto’s elite, you need to check out the Welcome to the six Welcome Party at the National Event Venue starting at 8 p.m. Tickets range from $50-100. If you’re looking to party with some NBA legends, make your way to Maison Mercer for the Diesel NBA All-Star Weekend Party hosted by Shaquille O’Neal. Tickets are $25 and DJs will be spinning from 10 p.m.-3 a.m. If you’re worried about being hungover for work on Friday and don’t feel like partying on Thursday, you can hit up Drake 150 for dinner with the San Antonio Spurs’ Matt Bonner. This $200 ticket gets you access to a world-class, exclusive dining experience starting at 8:30 p.m. that will include an unforgettable meal prepared by Chef Ted Corrado, celebrity guests, and a silent auction. For those with a love for both sneakers and basketball, check out the Ultimate Sneaker Show at 99 Sudbury from 5-11 p.m. It will also re-open on Saturday at 11 a.m. Tickets range from $22–$200 and will get you access to live performances, giveaways, and panel discussions with special guests. Put on your best formal wear and dine with Metta World Peace of the LA Lakers as he hosts the Metta World Peace NBA All-Star Dinner at the National Event Venue. Starting at $150, you can enjoy a French-style five-course dinner with live entertainment. There will also be a number of NBA players in attendance from the LA Lakers, New York Knicks, Golden State Warriors, and Cleveland Cavaliers. To kick off the first big All-Star event, cheer on Toronto Raptors Global Ambassador Drake and four-time NBA All-Star Celebrity Game MVP and actor Kevin Hart as they face off as head coaches of the Canada and USA teams, respectively, at the NBA All-Star Celebrity Game. Tip off is at 7 p.m. at Ricoh Coliseum. Once the celebrity game has wrapped up, head to Roy Thompson Hall for the All-Star Celebrity Basketball Game After Party, which will be hosted by Kevin Hart. Tickets range from $160-$565. This should be the funniest event of the weekend, unless you happen to catch Kevin Hart standing next to Shag at some point. Catch the NBA’s rising young stars as they square off at the BBVA Rising Stars Challenge. Cheer on Toronto’s very own Andrew Wiggins, who was last season’s Kia NBA Rookie of the Year. Tip-off is 9 p.m. at the Air Canada Centre. 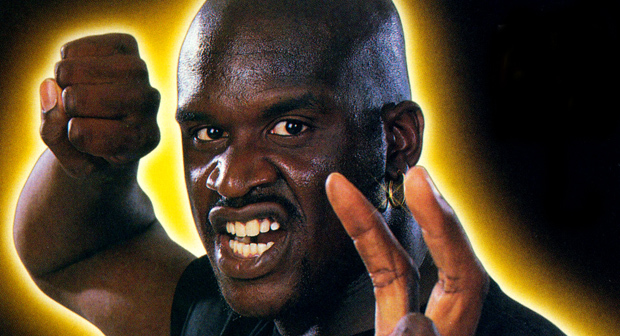 Shaquille O’Neal is going to be testing out his comedy skills at the Sony Centre for Performing Arts for the 2016 All-Star Comedy Jam. Earthquake, Michael Blackson, Tony Roberts, LaVar Walker and Bill Bellamy will be joining Shaq on stage. The event starts at 7:30 p.m. and tickets are start at $65. Following the comedy jam, make your way to Muzik nightclub for the Maxim All-Star Party. Shaquille O’Neal will be hosting this party and sharing the mic with Snoop Dogg. Maxim will also be bringing in some of their hottest models. Can’t make it to the All-Star game? Then hit up the NBA All-Star practice for a fraction of the cost. Starting at 11 a.m. you can watch some of the NBA’s greatest players light up the court as they prep for the big game. Tickets start at $35. 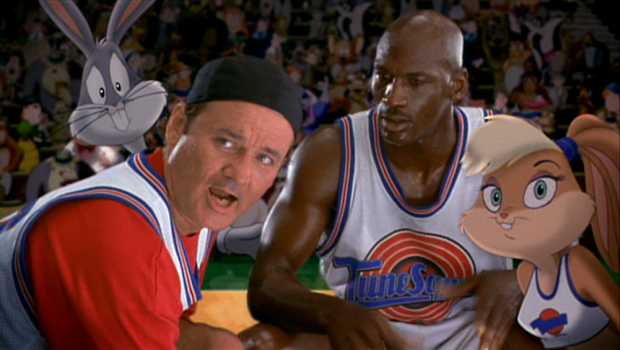 In celebration of Space Jam’s 20th anniversary and the NBA All-Star weekend, the TIFF Bell Light Box will be putting on a live read of Space Jam at 1 p.m. with special guests from the sports and entertainment world participating. All eyes will be on centre court at 8 p.m. during State Farm All-Star Saturday Night, which will be hosting three different events showcasing the NBA’s best and brightest stars. There will be the Taco Bell Skills Challenge; Foot Locker Three-Point Contest; and the Verizon Slam Dunk challenge. Didn’t catch Shaq on Friday? No worries – he’ll be hosting the Champions Gala alongside Super Bowl champion Marshawn Lynch, Akon and Anthony Anderson. This star-studded affair will be kicking off at 10 p.m. and goes until 4 a.m. Tickets start at $50. If you’re looking to party with some hip-hop’s finest, make your way to Stadium at 10 p.m. for the NBA All-Star Weekend Takeover Party. Angela Simmons, Yo Gotti, Dej Loaf and 2 Chainz will be pumping up party goers all night. Tickets start at $100. Show your significant other that you truly care and present them with tickets to the 65th annual NBA All-Star game. Kobe Bryant was the leading vote-getter this year, which will make his final NBA All-Star Game bittersweet. This must-see event will bring together the best in the biz; Toronto’s Kyle Lowry will starting for the east. Tip-off is 8:30 p.m. Turn down for what? Wrap up this epic weekend by partying with the one and only Lil Jon, who will be hosting the All-Star Jam at Orchid Nightclub. The party starts at 10 p.m. and tickets start at $40. There are a number of surprise guests lined up, so this is a party you don’t want to miss. Put on your best and hit the red carpet as you make your way into the All-Star Celebrity Party at the Queen Elizabeth building. Hosted by 2 Chainz and Tory Lanez, this party will start at 10 p.m., and tickets start at $50. Bring your weekend to a close by ending it on a high note and hit up the Phoenix Concert Theatre to watch Future perform. If you’re hoping to catch Drake, this may be the place he hits up so the pair can perform some tracks from their latest collaboration, What a Time to be Alive. Tickets start at $200.